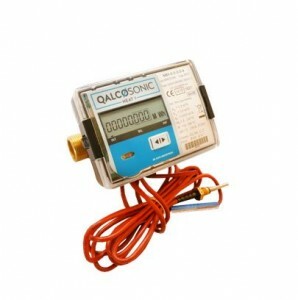 Heat meters measure the amounts of heating or cooling energy used in MWh. 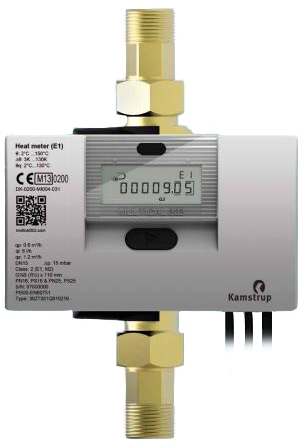 In Estonia, both ultrasound heat meters, which utilise an ultrasound sensor (thereby ensuring the highest level of measuring accuracy), as well as mechanical heat meters, certainly the cheapest solution that is rather used for the measurement of smaller flow rates, are widely used. In case of extremely high flow rates and high temperatures, also inductive heat meters are used. Planning a new building or renovating an old heating system – in both cases it is important to select an energy meter with the right parameters. We are ready to help you – our specialists help to find the right solution and to select the most suitable device from our range. The EU’s common energy efficiency policy and the different requirements for the reduction of CO2 emissions make it necessary for both the service provider as well as the end-user to measure the energy consumption, thereby ensuring a transparent billing system for both parties. The measurement of the energy consumption is a good way for the monitoring of the energy efficiency of a household – especially, if the meter has been supplied with a remote reading module. Each device can be supplied with a necessary communications module – whether M-bus, MOD-bus or a wireless radio module: it does not matter, whether you are yourself building an in-house local network for consumption data, or whether you wish us to provide you with a full hosted remote reading service – contact us, and we shall work out the best solution for you.